I have said it before....the easy runs give us confidence and the tough ones keep us humble. Case in point, the 17-miler from this weekend. It was one of the toughest runs I have ever run, hands down. There was a 5K in a nearby town I was planning to run, and wanted to work that into the 16-17 miles on my training plan. Our town has a half marathon route, which is actually two loops around town. My strategy was to run one loop of the course (6.5 miles), drive to the 5K (20 miles away) and do that race (3.1 miles), then return to town and run the second loop of the half marathon route (6.5 miles), for a total of 16+ miles. 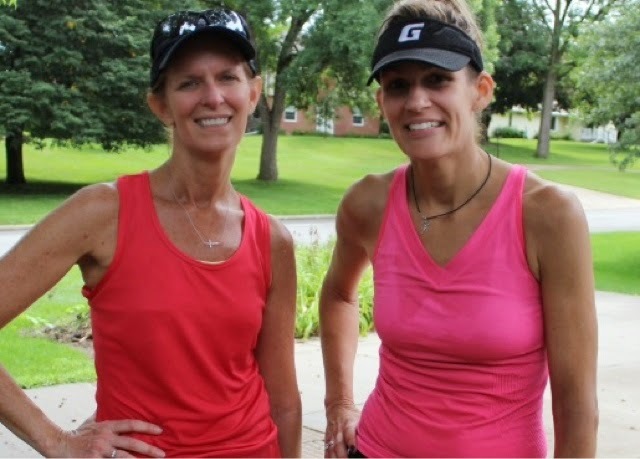 My friend and fellow runner, Barb, was running with me. The half marathon course goes right by my house, so our plan was to meet at my house at 5:45AM. We'd need about an hour for the first part of our run, then we'd have time for a quick drink/refuel/potty stop before driving to the 5K. The 5K start time was 8:00, and would take us less than 30 minutes to run, allowing us to potentially be back to town as early as 9:00 and running the second loop of the half marathon shortly thereafter. If all went well, we'd be finished between 10:15-10:30. Perfect plan. What we did NOT plan for was the threat of rain that we woke up to on Saturday morning. It was supposed to rain (and/or) storm during the night, and was going to be sunny come morning. I didn't hear it rain in the night, but it was damp outside and already quite humid at 5:45 AM. It was dark, too, not just from the lack of sunshine but from the forbidding clouds overhead. And, did I mention there was an occasional twinge of lightening off in the distance? Not certain if we'd run the entire 6.5 miles, we set out anyways. There wasn't any rain (at the moment) and the intermittent lightening was not accompanied by thunder (yet). There was a mild, cool breeze so the humidity wasn't too bad. 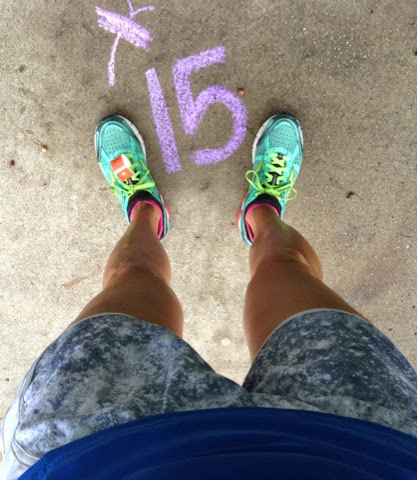 Like most of my long runs, the first couple miles felt stiff, sluggish and slow. The humid air made it difficult to breathe and, although I had slept well, I felt exhausted and a bit weary. We didn't have obvious daylight until the fourth mile, and we continued to notice lightening (still off in the distance). Barb's house is near the 4-mile mark, and that's when the light drizzle started. We briefly considered stopping at her place, but decided to press on and get back to my house. The drizzle actually felt good, and since we were already covered in sweat, we had nothing to gain by stopping. The lightening seemed to be getting closer, and the clouds were still pretty dark. We made it back to my house well before 7:00. By now, the rain was coming down strong. I changed into a clean (dry) tank top and we grabbed a quick snack & drink before heading to the 5K. It was still raining (accompanied by lightening) when we got to the race site, and the director had decided to cancel it. We were disappointed to have made the drive there for nothing, but we hadn't pre-registered so there was no way for anyone to contact us. The race was to benefit a local family who had recently lost their home in a fire, so we left our donations with the director and drove back home. The rain continued, as did the thunder and lightening. We got back to town around 8:00. Hoping the rain would soon pass, we made a plan to meet back up at 8:30 to finish the remaining 10-11 miles. By 8:30, the rain was coming down harder than before. A light sprinkling of rain would have been fine, but neither of us wanted to run in a heavy rainfall, so our 8:30 time got pushed back to 9:00, then 9:30. The rain had finally lightened up, and at 9:45 we decided to get back out there before our motivation ran out (no pun intended). Even though I had utilized the rain-delay time to stretch, foam roll, and refuel, I still was not "feeling the run." My upper hamstrings felt tight and my energy level was lack-luster. The temps, thankfully were not too bad (despite the humidity), and the breeze was still blowing intermittently. We had some light sprinkles as we headed back out on the second loop, but the sprinkles stopped within the first couple miles. The sky was still overcast, a good thing given the high humidity in the air and damp conditions on the ground. Barb said she also had some muscle stiffness, so both of us needed the others encouragement to keep going. We kept chatting as we ran, so that helped keep my attention diverted from my current state of physical frustration. We made it around the second loop and headed back to the house for a much-needed pit stop. Overall, the second loop felt easier than the first one did, but still not ideal. We had some Nuun water, and spent a few minutes discussing the next route we'd take. We were at 13 miles, and wanted to get at least three additional miles completed. We decided to run out on a trail, turning back after we reached the 2-mile mark, which actually gave us an additional four miles. Total distance for the day was 17 miles. Total time from start to finish (including running, drive time back & forth to the cancelled 5K, "pit stops" for water & refueling, and rain-delays) was just under 6 hours. Ha! Now that's a long morning! Whew! Flaunting a little of that post-run "glow"
We were able to run the majority of the route(s), but did slow down and do several walk intervals in the final miles. It's always my goal to finish a training run, but never to be a hero in doing so. I have no shame in walking briefly if I'm feeling tired or fatigued. The humidity on Saturday was ominous, and it would have been pretty stupid to not respect it. According to Barb's watch, we averaged a 10:27 pace, which also included our walk intervals. In other words, we probably were well under a 10-minute pace during our actual "running" time. Not too shabby considering the tough conditions we had to deal with to get our run completed. This run was tough, physically and mentally. It was very frustrating to feel so exhausted so early on. The weather kept us guessing how it would play out, and made it a challenge to keep running. The intermittent rain felt good, but it also made the humid conditions worse. Thankfully, the sun remained hidden until the final miles. 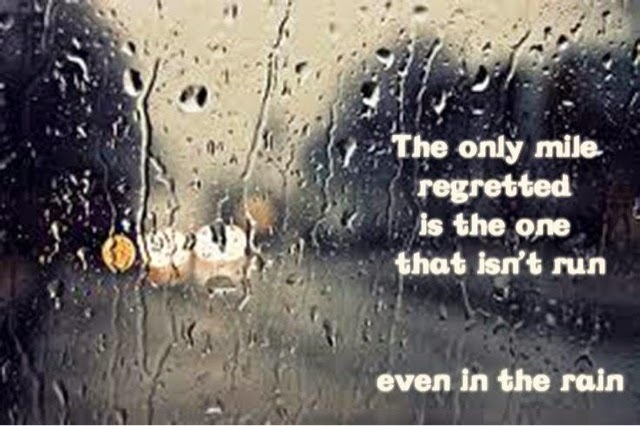 Although it was a miserable morning to run, the weather could have been much worse. This was one of those training runs where one learns a great deal about oneself and your ability and stamina as a runner. Having a friend running along beside me made all the difference for me on Saturday. Those 17 miles would have ended at mile 6 if I didn't have Barb entertaining me and encouraging me to keep my feet moving. 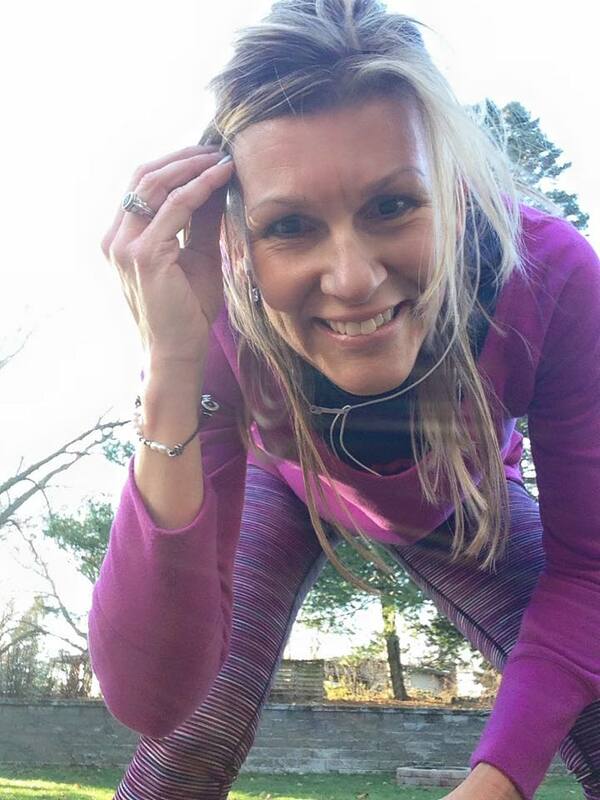 A new thing I'm doing this training cycle is a "shake-out" run the day following my long run. It's an easy run, usually only a mile, with no speed involved. The temps were even hotter, but this easy mile felt good. I woke up that morning feeling like a new person, not someone who had endured a difficult run the day prior. The IMT Des Moines Marathon is eight weeks away. 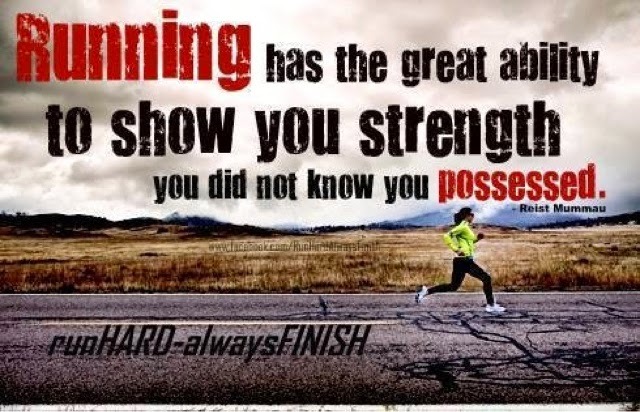 I have another long run this week (18 miles...yikes! ), then I get to ease back on the mileage the following week (with a half marathon). I'm feeling great, and (so far) have been able to avoid injury and recover quickly from the long distance runs. Life is good! 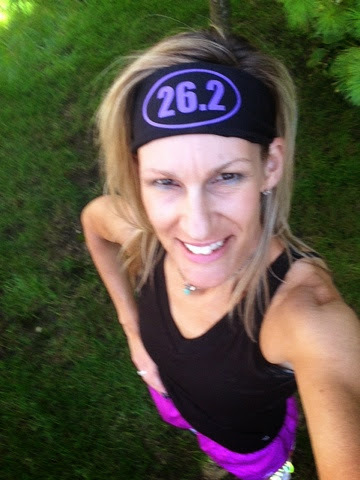 Putting in the miles....9 weeks until 26.2 #2! Did I mention that I'm training for a marathon? 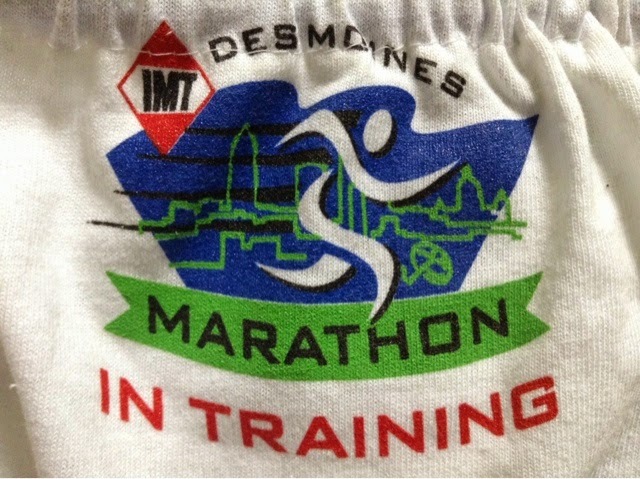 The IMT Des Moines Mararathon? And it's my second go-round chasing a 26.2 race? Last year I finally gave in to that (silent) little nagging desire and registered for a marathon. I have done so many half marathons, it seemed like the next logical step. Scary as it was to commit to 26.2 miles, it was also exciting to be stepping out of that ugly comfort zone and taking on a much bigger, more grandios challenge. I trained all summer with an 8-week Hal Higdon plan (that I modified to encompass 12 weeks of training). All went well and on September 22, 2013, I crossed the finish line of the Quad Cities Marathon. I thought that would be enough. No one warned me I might have a nagging desire to do another. After all, I had a great experience with the Quad Cities Marathon. Race day temps were ideal. I managed my hydration and fueling fine. No crashing, no frustrations, no regrets. I even met a gentleman at mile 25 who ran the final mile with me (all the while telling the crowd of spectators, "this is Kim and it's her first marathon!"). Even though I was (secretly) hoping for a 4:15 finish time, I was happy and content with my official 4:33:38. So many runners have bad "first marathon" experiences, I was very thankful and grateful that mine went so well. Granted, I did walk some during miles 23-25, so my finish time does not reflect truly "running" the entire race. And, I did not incorporate much speed work in my training, so that could have possibly knocked a few minutes off my finish time as well. What if I gave this 26.2 thing one more attempt? Having already run one marathon, I was no longer afraid of the distance. 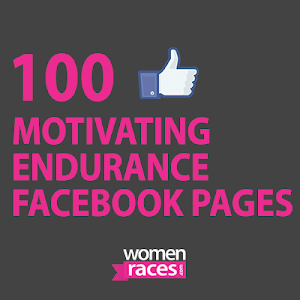 If I ran a different race, I'd have a new course to tackle (and zero pressure to PR last years race). Hmmmm. 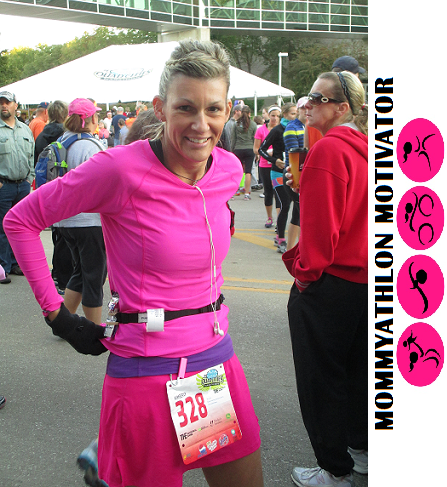 Long story short, the IMT Des Moines Marathon is nine weeks away, and I'll be there! I have run the half marathon four times, so this will be a new experience. My training has been going well. I am using the same plan as last year, but am doing weekly speed work this time. I have already seen the benefit of doing speed work (and also hill sprints) consistently. Not only has my speed improved, but the hill work has strengthened my glutes (so the piriformis issues have been drastically reduced). This has been reflected in several races this summer; I have not only placed in my age group, but have also earned some long-awaited PR's. My training seems "behind" in comparison to last year. Given the fact that my race is four weeks later on the calendar, though, I'm actually pretty much on target. I have recently entered the phase of heavy mileage (13 miles and longer each weekend). With the exception of a recovery week (or weekend), this will be the norm for the next six weeks.....until it's taper time. 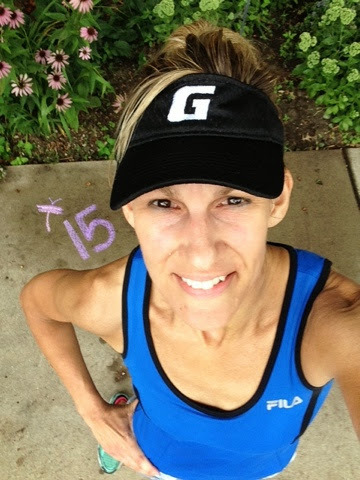 Yesterday was my longest run since the Quad Cities Marathon, 15 miles. It went well. I had a delayed start (due to heavy rain), and didn't get out the door until 7:15AM. I ran a 7-mile route, looped back and changed my socks (due to the rain during the first couple miles). I refueled, headed back out for a 4-mile route, looped back for a potty stop, and finished the remaining four miles. Even though the rain ended after the first few miles, the humidity remained very heavy. There was a nice breeze, though, so the temps weren't a problem. I felt a little stiff after finishing, but not really any soreness. I have been wearing compression calf sleeves for recovery (after showering and overnight), and they work great for me. I actually prefer the sleeves over full compression socks because I don't like having my feet (or toes) all squished together (but I don't mind them for running). I woke up this morning feeling great! So, nine weeks until race day. Stay tuned, more training details to come!